WE WON! 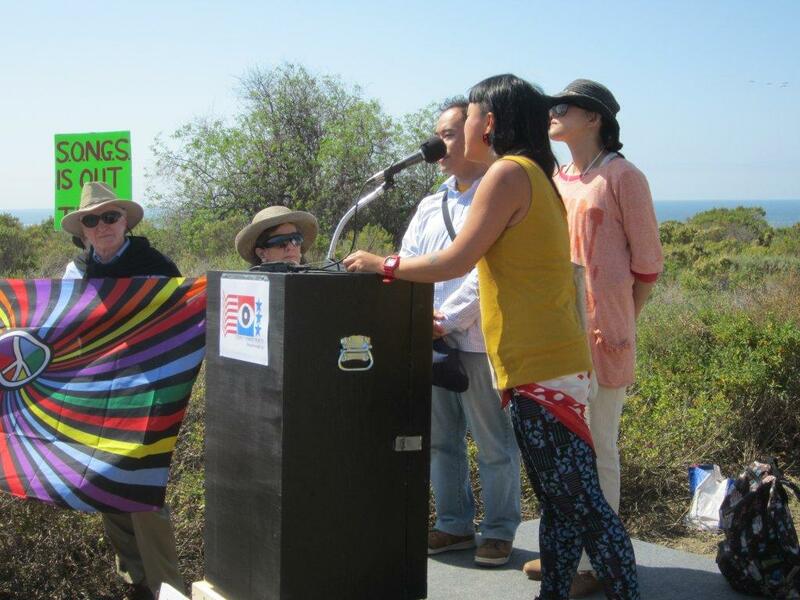 Southern California Edison announced a permanent shut down of the plant on Friday, June 7, 2013.
to block Edison from building a nuclear waste facility only 100 feet from the beach. See Stop Nuke Dump. My goodness! 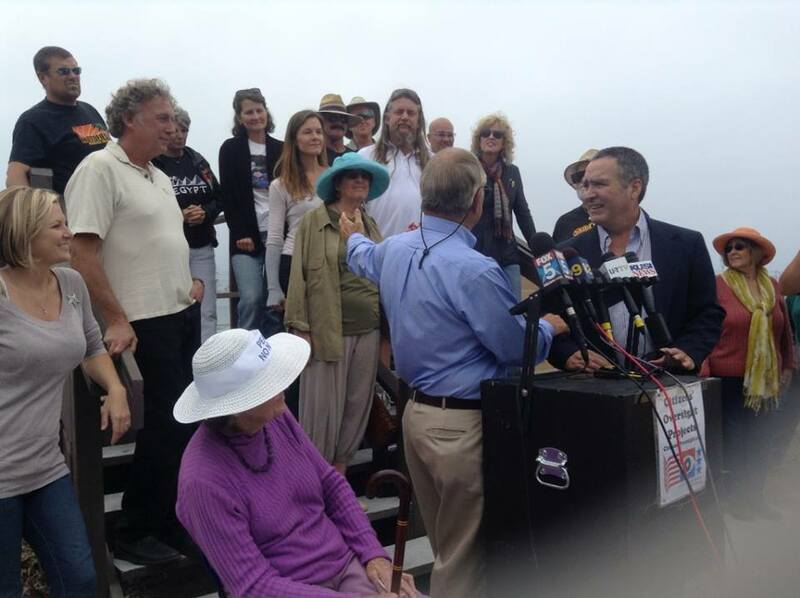 Here's a list of all the media stories on San Onofre's closure! Why was this plant a problem? 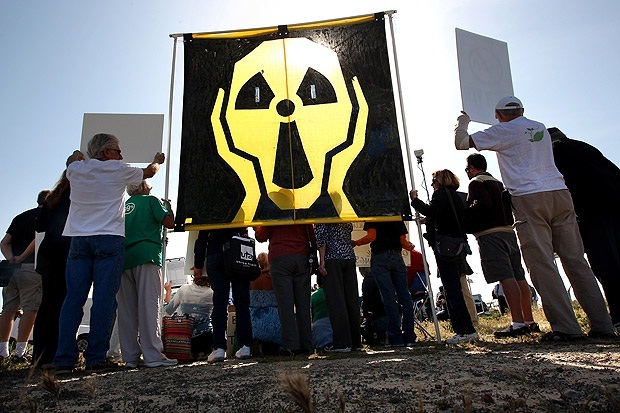 Please note, we are well aware that the plant continues to have very deadly nuclear material, some 1632 metric tons of high-level nuclear waste, in the form of spent and new nuclear fuel. 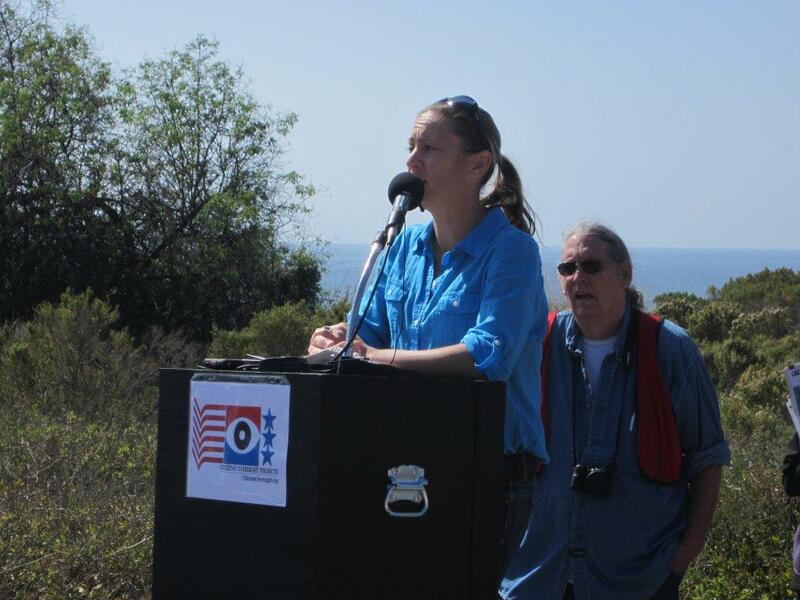 Our battle continues to Decommission San Onofre and to establish a plan to manage the oversight of the decommissioning process and removal of the nuclear fuel. But the good news is that NO NEW WASTE is being generated! 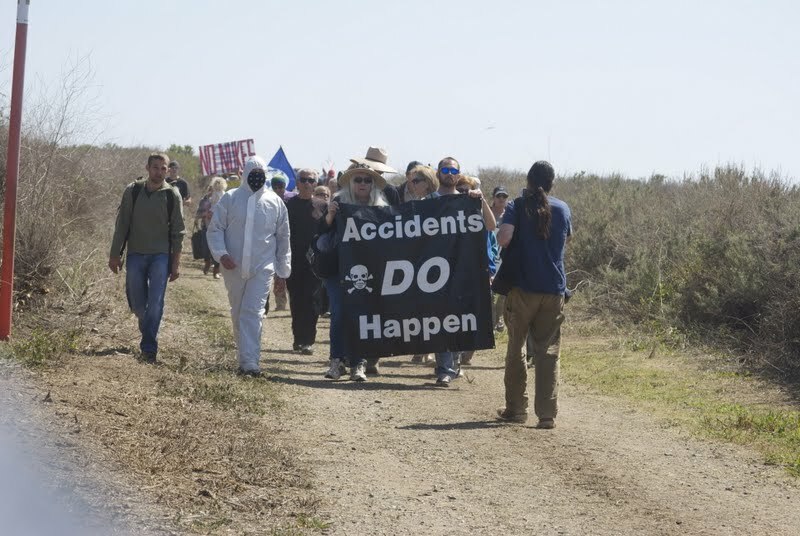 Puts 8.4 million residents at risk -- The San Onofre Nuclear plant puts approximately 8.4 million Californians at risk, given the same 50-mile evacuation area recommended for Americans near the Fukushima disaster. 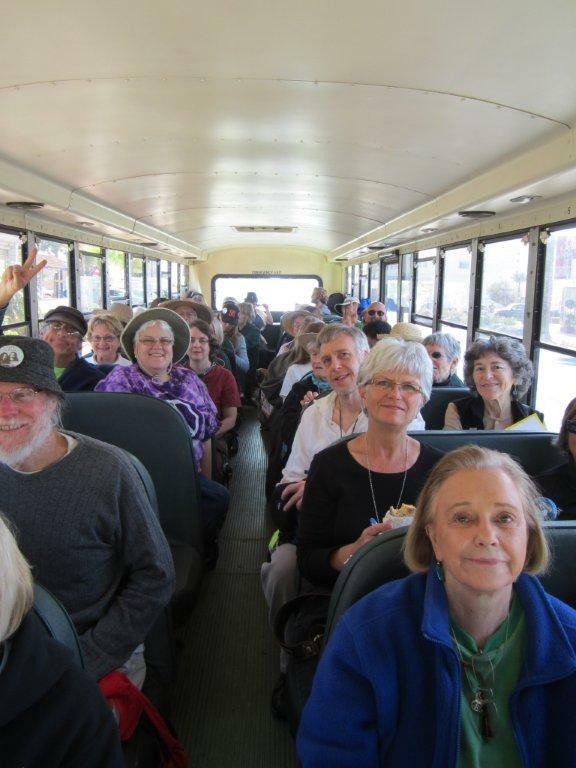 The 10-mile evacuation area is not reasonable given the stark realities of a full-scale accident such as happened at Fukushima, Chernobyl, and Three Mile Island. Earthquake Risk Area -- California lies along the "ring of fire" of the Pacific Rim, where extreme earthquakes are common. 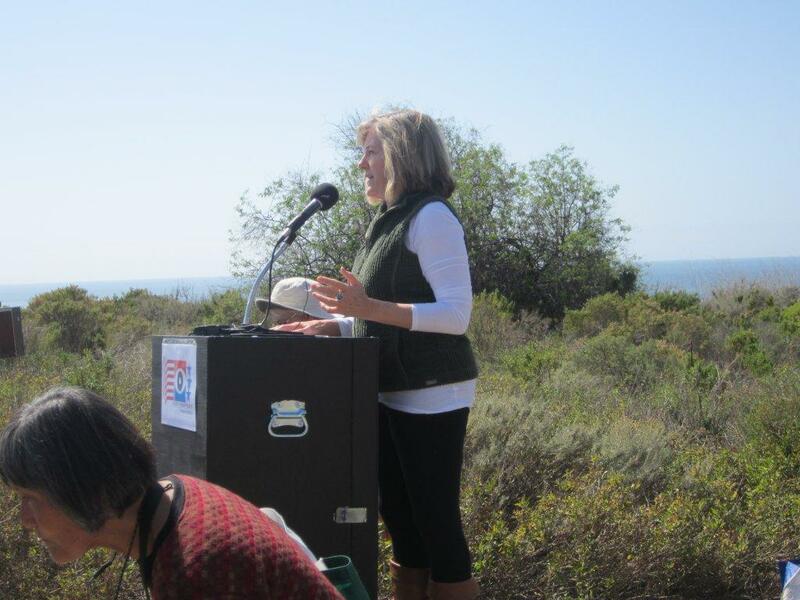 San Onofre was originally designed to withstand a magnitude 6.0 earthquake, and then upgraded to withstand 7.0. However, we now know that earthquakes 100x stronger are possible, such as the 9.0 earthquake in Japan off the Fukushima Daiichi reactor, and a 7.4 quake hit near Mexicali. The Lake Wohlford dam "could crumble" in a 7.5 quake and so is being rebuilt to withstand a stronger quake. Recently, a magnitude 3.9 quake occurred along the San Joaquin Hills Thrust Fault on April 23, 2012, with epicenter within 15 miles of the plant. 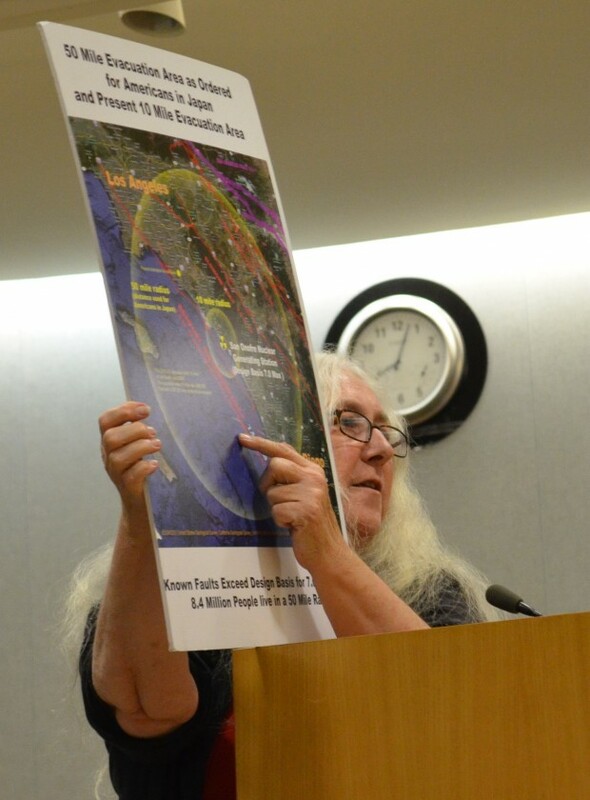 This fault was discovered 13 years ago, AFTER the initial licensing of the San Onofre plant, and it runs along the coast, very near the exact location of these reactors. Southern California Edison now proposes a $64 million seismic study to probe these recently discovered faults and somehow reassure everyone by saying the risks are not too great. Tsumani Risk Area -- The 133 foot tsunami in Japan underscores the inadequacy of the 14 foot (over high tide) sea wall at San Onofre. Large sea waves can be caused by earthquakes, undersea landslides and even a random meteor strike. 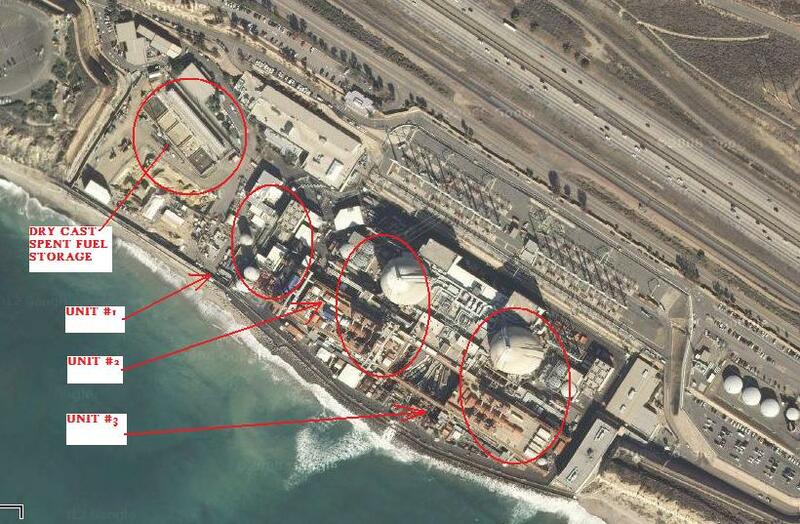 If any of these occurs, San Onofre could be disabled and enter uncontrolled meltdown. Steam Generator Misdesign -- Four massive steam generators were replaced in a $670 million upgrade that was completed in 2010. In this project, SCE engineers worked to avoid NRC approval of the design changes to the steam generators. In the article written by the lead engineers on the project in Nuclear Engineering International which was published just before they started to fail, they said, "the major premise of the steam generator replacement project was that it would be implemented under the 10CFR50.59 rule, that is, without prior approval by the US Nuclear Regulatory Commission (USNRC)"
The changes to the steam generators were very significant, reviewed by nuclear expert Arnie Gunderson in this paper commissioned by Friends of the Earth. So that may be enough to show that the SCE was responsible for the failures, in that they chose to exceed the limits of the 50.59 like-for-like criteria, but it is worse than that. It turns out that SCE was told by Mitsubishi Heavy Industries that fluid-elastic instability was a problem, and the Anti-vibration Bar team was told to ignore those warnings and proceed without any changes, because those changes would trigger a license amendment process. 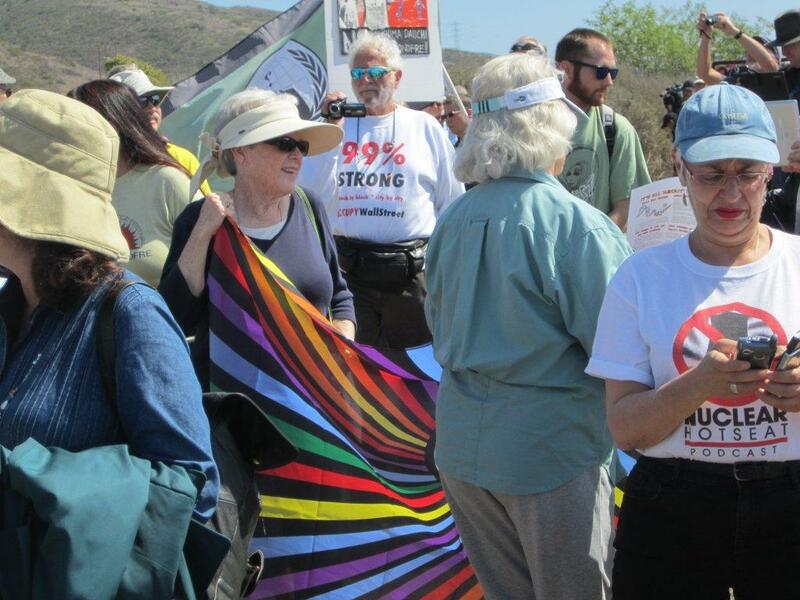 SCE's impropriety went beyond just stretching the limits of the 50.59 rule to avoid a license amendment process. They also knew the Replacement Steam Generators (RSGs) had vibration problems but did not correct them. 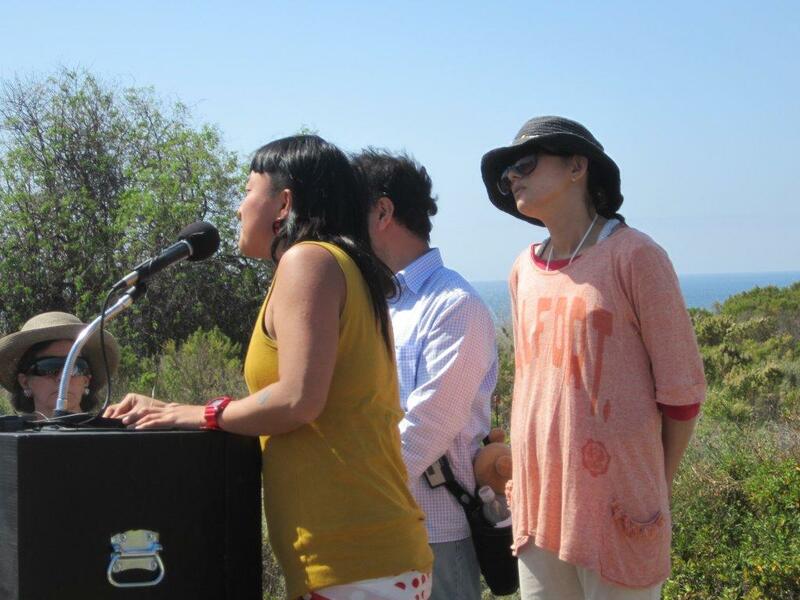 This was first revealed in February, 2013, in this Los Angeles Times article See this later article where Boxer was ready to conduct a formal inquiry, just before the decision by SCE to permanently close the plant. With this huge design mistake, how can we trust that the company can operate this plant safely? Humans always make mistakes, but even one mistake can be an irreversible disaster forcing many millions to evacuate. Worst Safety-complaint Record -- workers at the plant have alerted NRC officials to more than 10x the national average of safety concerns. On April 20, a fire burned for 45 minutes and is still unexplained. Fire inspections that were supposed to be performed hourly were not done at all and logs knowingly altered for five years. The back up batteries, that need to be available within a single minute during an accident, were left disconnected for four years. A worker fell into the primary cooling pool at the plant on January 27, 2012, while trying to retrieve a flashlight, but the accident was "not technically a reportable incident under federal rules." "A life cycle analyses (LCA) carried out by Jan Willem Storm van Leeuwen and Philip Smith came to the following result: Electricity from atomic energy emits 90 to 140 g CO2 per kWh of electricity produced. "The relatively high range of uncertainty is due to the different grade of ores used. It depends on how rich the ores are that are used to obtain the Uranium. For poor ores, the higher value does apply and for rich ores, the lower value does apply. This leads to an interesting issue: The world-wide reserves for Uranium are a very limited resource. It is estimated to last for about 50 to 70 years with the current demand. If additional nuclear reactors are built, the supply will last correspondingly shorter. The higher the demand for Uranium, the more and more poor ores will have to be processed. This however will lead to a CO2 balance for atomic power, which gets worse and worse over time. "Storm and Smith in the above mentioned life cycle analysis came to the conclusion, that between the years 2050 (if additional nuclear power stations are built) and 2075 (no additional nuclear reactors) the CO2 emissions of electricity from atomic energy will be higher as the same electricity produced by a gas burning plant! So nuclear energy can definitely not be the solution to mitigate the effects of global warming! A. Consider the TRUE cost of nuclear power -- "The efforts to consolidate the radioactive waste of one nuclear power plant in a safe manner will require investments of energy, materials and economic power of the same order of magnitude as the investments during the operational lifetime of the reactor. After closedown of a nuclear power plants, a massive energy debt is left to society, increasing over time due to the unavoidable deterioration of the temporary storage facilities and increasing leaks. "This debt cannot be written off as incollectable, like a financial debt, because the health of millions of people is at stake. If it goes wrong with the radioactive heritage of a nuclear power plant - and it will go wrong if nothing is done - it will go terribly wrong. We just cannot move millions of people to another, not contaminated region. Obviously the economy will also suffer a heavy setback in case of a severe accident. The chance of such accidents increase with time. B. Non-nuke power district rates are lower -- Whenever SoCal Edison/San Onofre boosters talk about how they need their electricity rates to "stay low", point out the TRUE rates being paid by SoCal Edison customers compared to others in California. 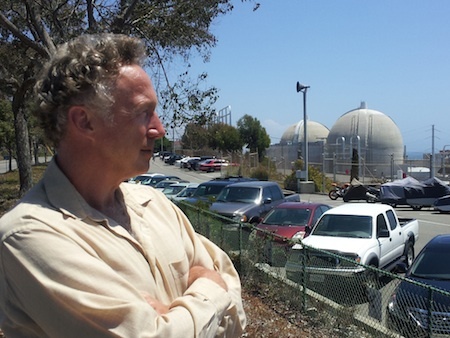 SoCal Edison's electricity rates (with 80% ownership of San Onofre) are 50% higher than those of L.A. Dept. of Water and Power (which owns less than 7% of Palo Verde Nuclear Power Plant) and Sacramento Municipal Utility District (which decommissioned Rancho Seco over 20 years ago after a public referendum). 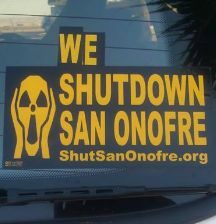 With the San Onofre plant down for over a year, this is hardly a poster-child for reliability. But even without these design mistakes, the grid operator must be aware that all nuclear plants MUST be taken off line for weeks or months at a time to allow for refueling. During these periods, there must be adequate capacity elsewhere to make up for these down periods. So by definition, nuclear power is not always reliably available. Nuclear power boosters say, "Replacing nuclear power means increasing CO2 emissions and solar/wind is intermittent." But the TRUE state of the current energy marketplace, which is a DISTRIBUTED generation near the point of use, provides for far greater reliability and efficiency. Fuel Cells: "Fuel cells are fundamentally more efficient than combustion systems, achieving 40% to more than 50% fuel-to-electricity efficiency when using hydrocarbon fuels such as natural gas or pure hydrogen, depending on the type of fuel cell and the application. High efficiency is an inherent advantage for fuel cells because they use the chemical energy of a fuel directly, without combustion. Hybrids, such as systems that combine high temperature fuel cells with a turbine, can operate at electrical efficiencies estimated at more than 60%, higher than even the most efficient combined cycle turbine plants now available. "When the fuel cell is sited near the point of use, waste heat can be captured for cogeneration, where it can be used to provide hot water, space heating, or cooling. This combined heat and power (CHP) installation can deliver 80% to 90% overall fuel efficiency. Heat can also be used for refrigeration using absorption chillers, as supermarkets installing fuel cells are opting to do. In buildings, fuel cell cogeneration units can reduce facility energy service costs by 20% to 40% compared to conventional energy technologies." Solar Rooftops: As of the Summer of 2012, the CA Public Utilities Commission reported that California is generating 1,255 MW of electricity from 122,516 rooftops (more than one of the San Onofre Units). Rooftop solar installation can be done in a matter of months, not the years that power plant construction requires. The CA Air Resources Board estimated in June 2010 that 150 permanent jobs are created for each 100 megawatt (MW) of local solar added. As an indication of the growth potential of this job sector, in San Diego County, we have only installed 2% (or 140 MW) of rooftop and parking lot capacity -- this is a GROWTH industry! "Intermittent" Solar and Wind Power: Southern California experiences about 290 days of sunshine per year, and "peak use" of electricity occurs from 10 am to 6 pm, which happens to be the peak time for sunshine, too (noting November-February shorter daylight, also lower electricity demand) . Wind tends to rise overnight, which complements solar's daytime production, as well as during stormy weather. A microcosm of this symbiotic relationship can be found in a suburban tract home in Oceanside, CA (north San Diego County), which is nearing 1 Year completely off the grid, using solar rooftop to charge batteries during the day, a micro-wind turbine to charge batteries overnight, and energy efficient appliances. Re-THINK Not Re-Start: We need to update our electricity grid to reflect the innovations in electricity production, which are DISTRIBUTED, not centralized. Electrical engineers know how to do this, and THIS should be a focus of our technological innovation, NOT making our future fit the constraints of the archaic technologies of the 20th Century. For example, from the trade journal Power Engineering: "Converting an obsolete synchronous generator to a synchronous condenser is a viable, economical alternative to retiring the unit. As the condenser is a rotating device, it can also provide short circuit support in addition to reactive power capacity. While converting the unit requires a system-level approach and custom engineering, the result can greatly extend the generator’s useful lifespan. For the community, a conversion to a synchronous condenser can provide electrical system voltage support resulting in a stable source of electric power." 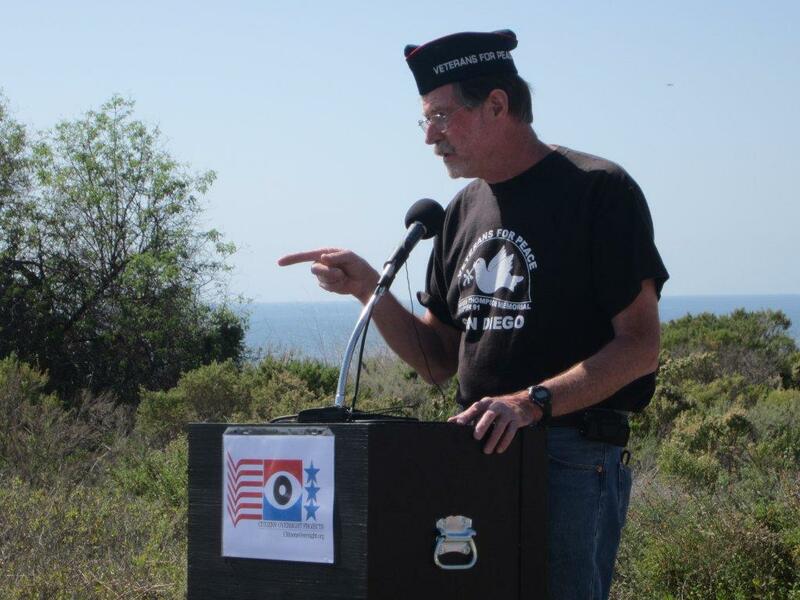 18 Jun 2012 - (5p) NRC Report on San Onofre Nuclear Generating Station regarding findings from their investigation and reponse from Edison officials, at San Juan Capistrano Community Center 25925 Camino Del Avion, San Juan Capistrano, CA 92675. Please arrive by 5pm for protests and events prior to the meeting which starts at 6pm. 20 Jun 2012 - (2p) Meeting with representatives from the San Diego "Public Safety and Neighborhood Services Committee" in an effort to get this on the agenda. 18 Jul 2012 - (2p) San Diego "Public Safety and Neighborhood Services Committee" at San Diego City Council Committee Room (12th Floor, San Diego City Administration Building) - Public comment limited to 3 minutes per topic, but we may be on the agenda. 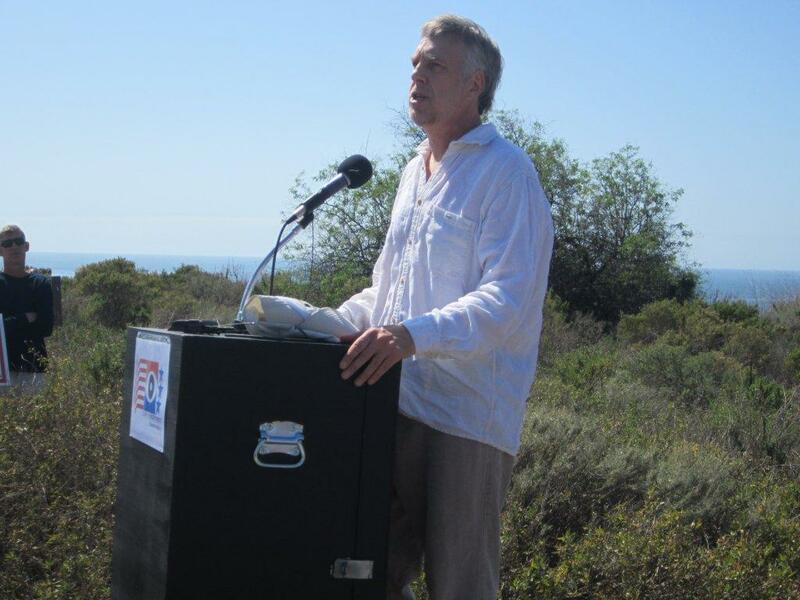 24 Sep 2012 - (6p) Del Mar City Council Meeting FB Event Southern California Edison will be giving a 20 minute presentation; Daniel Hirsch will be present to give a 20 minute rebuttal/presentation on the dangers of reopening San Onofre. Please plan to attend this important meeting and show Del Mar that we want San Onofre to stay shut! 1050 Camino del Mar, Del Mar, CA 92014. 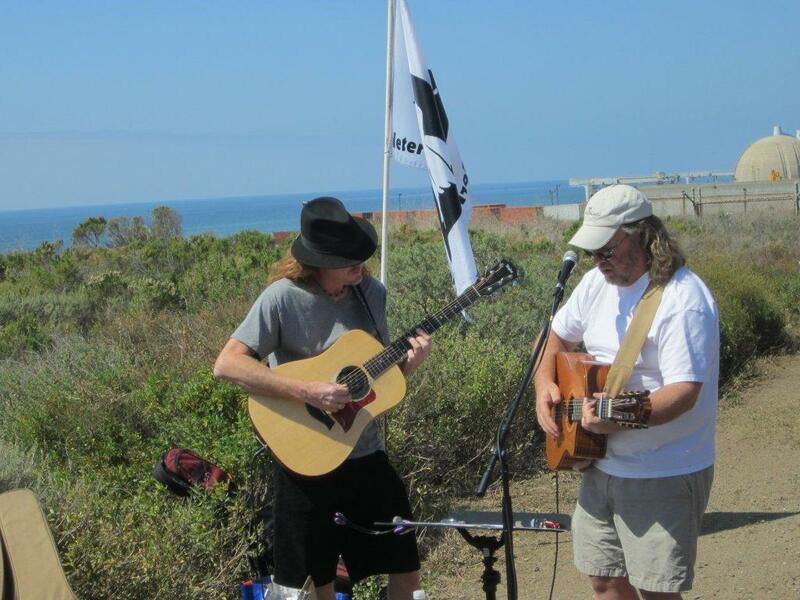 29 Sep 2012 - (10a-2p) Politifest at Ingram Plaza in Liberty Station, see Website for details. Will have a booth there to promote shut down. 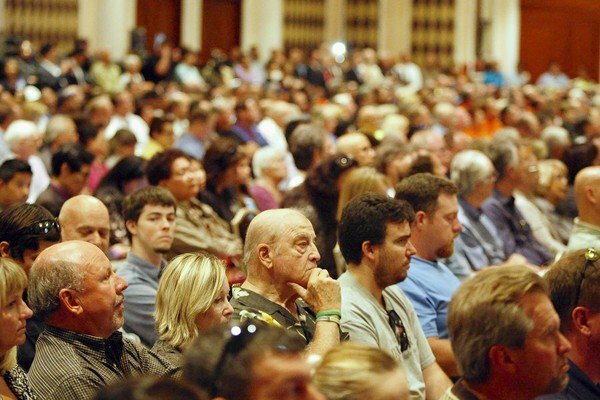 09 Oct 2012 - (6-9:30p) NRC Public Meeting on San Onofre at St Regis Hotel Dana Point at 1 Monarch Beach Resort North, Dana Point, CA 92629. 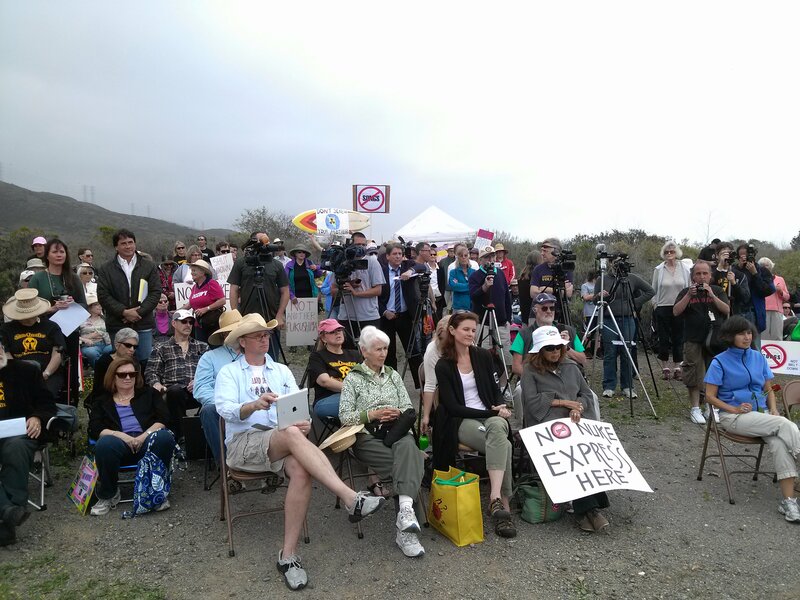 This is a Category 3 Meeting, and the first time local concerned citizens, the NRC, and Southern California Edison wil take part together in a roundtable discussion about San Onofre Nuclear Generating Station. 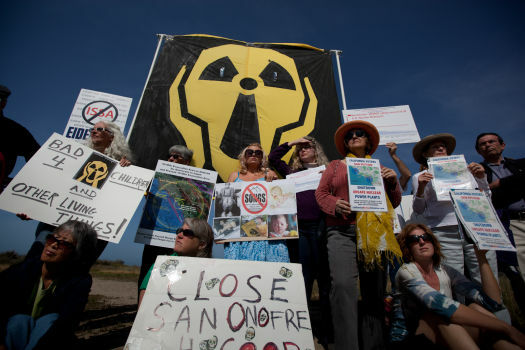 30 Oct 2012 - (4:30-7:30p) Southern California Edison is sponsoring a San Onofre informational meeting, Vista Civic Center, Morris B. Vance Community Room, 200 Civic Center Drive. 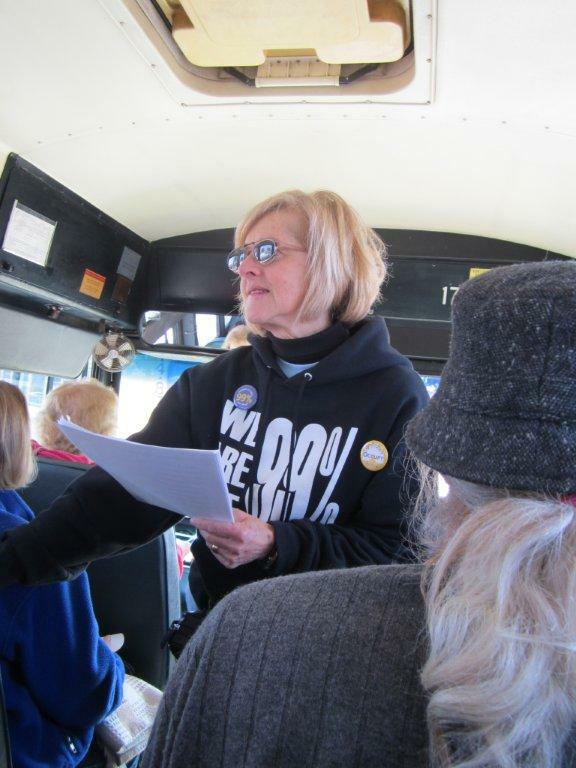 Activists plan to be there to provide the other side of the story. 16 Nov 2012 - (6-9p) NRC will meet with Southern California Edison (SCE) to discuss SCE's response to the NRC Confirmatory Action Letter of March 27, 2012, concerning actions required to be taken to address steam generator tube degradation at San Onofre Nuclear Generating Station. 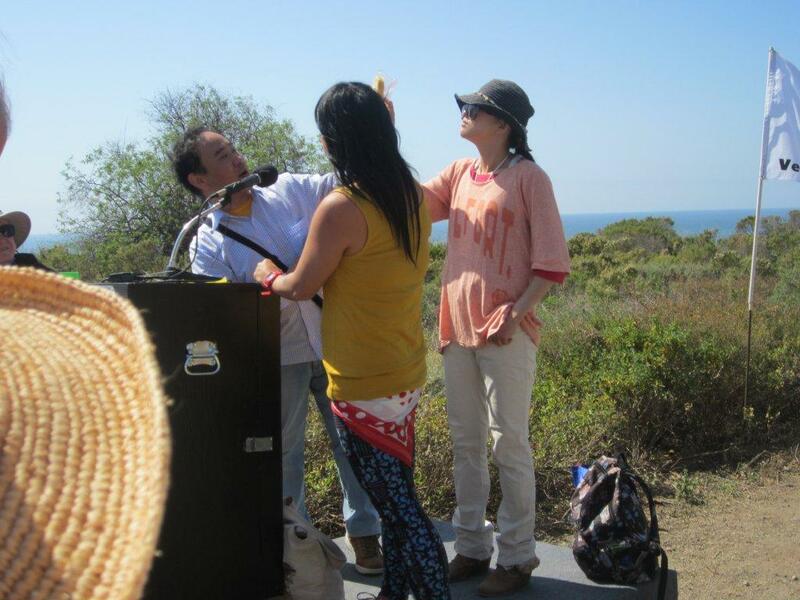 At Doubletree Doheny Beach at 34402 Pacific Coast Highway, Dana Point, CA 92629. Seating is limited to 350. 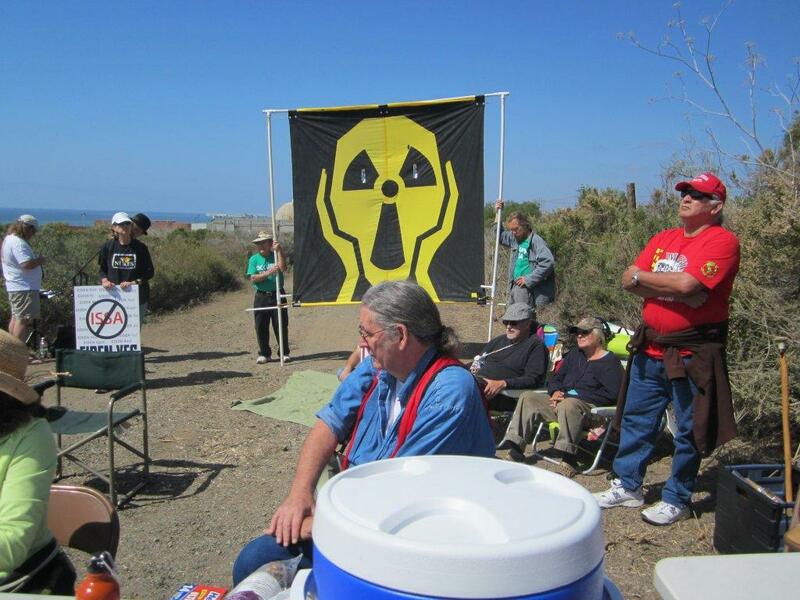 See meeting notice -- THIS MEETING HAS BEEN INDEFINITELY POSTPONED Project: Shut San Onofre. 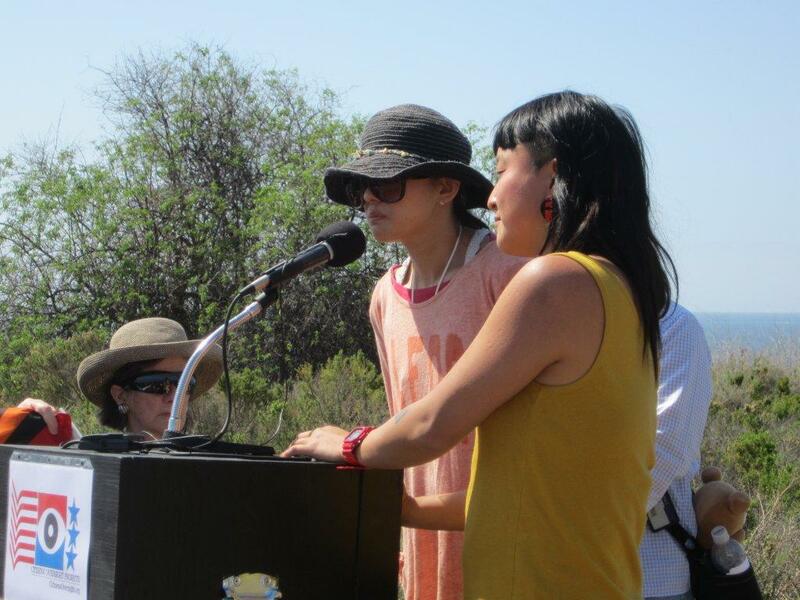 30 Nov 2012 - (4p) Press Conference by Coalition to Decommission San Onofre. Outside The Hills Hotel at 25205 La Paz Rd, Laguna Hills CA. 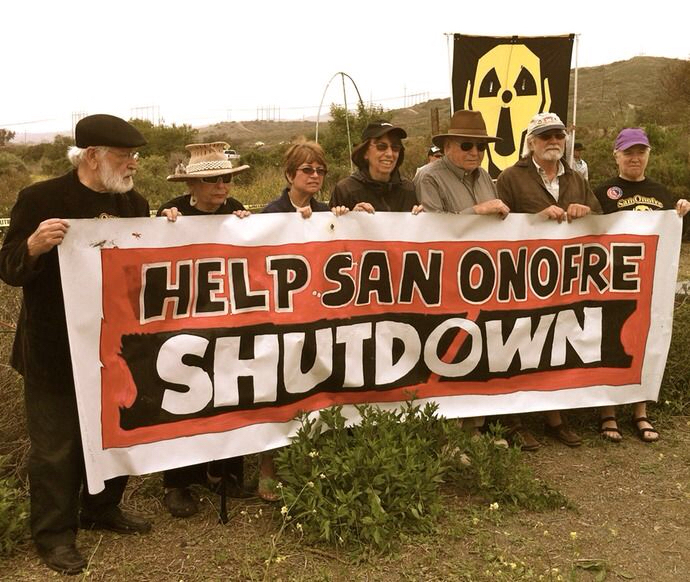 Project: Shut San Onofre. 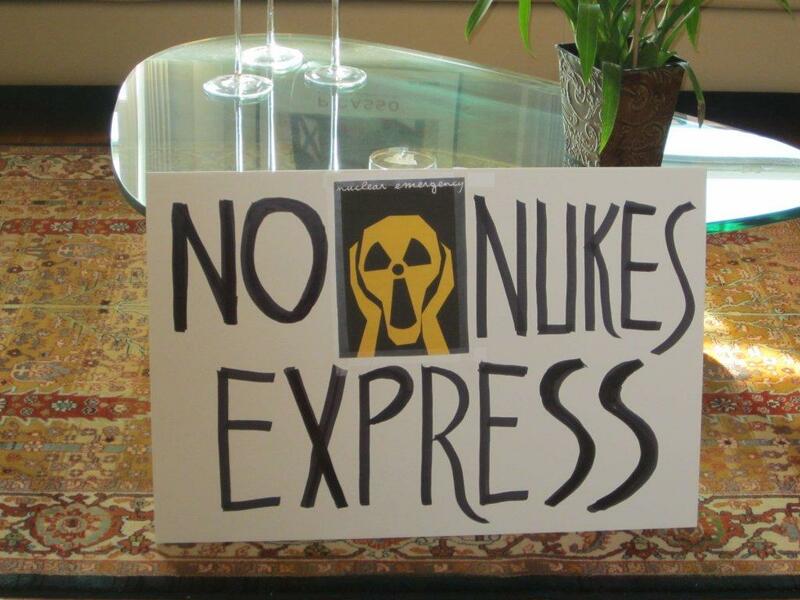 30 Nov 2012 - (6-9p) NRC will meet with Southern California Edison (SCE) to discuss SCE's response to the NRC Confirmatory Action Letter of March 27, 2012, concerning actions required to be taken to address steam generator tube degradation at San Onofre Nuclear Generating Station. At The Hills Hotel at 25205 La Paz Rd, Laguna Hills CA. Seating is limited to 400. 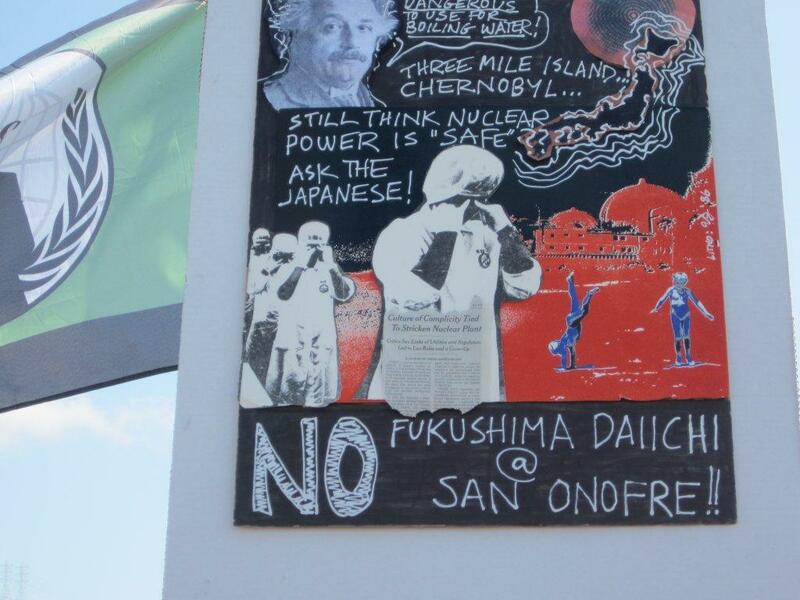 Project: Shut San Onofre. 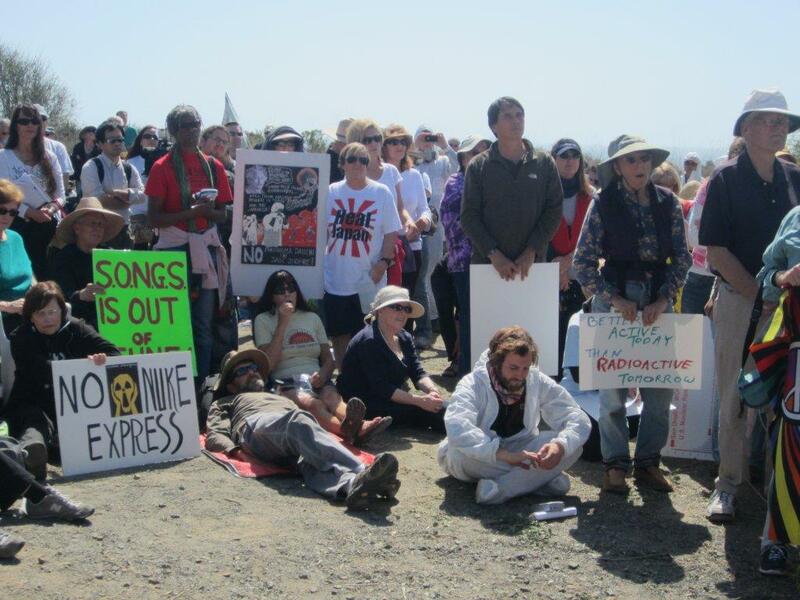 13 May 2013 - 17 May 2013 - CPUC holds hearings on San Onofre. This is Phase 1, regarding the reasonableness of SCE's actions after the shutdown and the information provided to the public. Location is the California Public Utilities Commission headquarters in San Francisco. Each reactor can generate 1,100 megawatts of electricity when operating at full power, enough to supply 1.4 million households. Southern California Edison owns 78 percent of the plant, San Diego Gas & Electric 20 percent and the city of Riverside 2 percent. Each reactor has two steam generators, each with 9,727 tubes. 1980-04-08 SONGS Unit 1 steam generator leak discovered. 1982-12-13 CPUC again deferred decision on whether SCE could recover costs associated with Unit 1 steam generator repairs. The Commission permitted a four-year amortization of the repair costs, beginning in test year 1983, with only the last three years (about $53 million) subject to refund. The Commission noted that Westinghouse, not SCE, bore responsibility for the faulty design of the tubes and that the record contained “no basis . . . to conclude that Edison acted unreasonably in accepting what proved to be a faulty plant design or in its detection and repair of the steam generator failure.” D. 82-12-055, 10 CPUC 2d 155, 1982 WL 196701, at *31 (1982). 1983-03-31 SCE filed suit against Westinghouse regarding steam generator tube failures in Unit 1. 1983-10-05 The CPUC issued I.83-10-02, which began the investigation into whether the Commission should disallow rate recovery of the Unit 1 repair costs. 1984-04 SONGS Unit 3 started commercial operation at nominal 100% power with new Combustion Engineering (CE) Steam Generators. 1986-09-04 after a full factual investigation and hearing, and after conclusion of the litigation between SCE and Westinghouse, the CPUC determined that SCE had imprudently executed a release of liability that prevented SCE from recouping its costs from Westinghouse through litigation. Only at that point did the Commission order SCE to refund 75% of the repair costs to ratepayers. See D. 86-09-008, 22 CPUC 2d 14 (1986). 2004-09-30 SCE signed a contract with Mitsubishi Heavy Industries, America, for fabrication of replacement steam generators (prior to approval of the project by the CPUC). 2009-01-10 Two replacement generators, manufactured by Mitsubishi Heavy Industries, arrived in Del Mar Basin in Camp Pendleton. 2009-12 NRC reported that the plant's staff didn't notice that a backup battery for safety systems was inoperable between 2004 and 2008. 2010-10-10 Unit 3 started the Cycle 16 Refueling and Steam Generator Replacement Outage. The original CE SGs (3E088 and 3E089) were replaced with MHI SGs. 2011-02-18 Unit 3 completed the Cycle 16 Refueling and Steam Generator Replacement Outage and returned to operation at nominal 100% reactor power. 2012-01 Southern California Edison engineers publish an article in the Nuclear Engineering International that describes the numerous changes that were made to the steam generators, and said the major premise of the project was to avoid NRC approval, and that they were not even sure they would perform to spec given the many changes that were made, including the addition of 370 tubes in each steam generator. An article in the Orange County Register said the steam generators raised the amount of steam generated. These actions together likely comprise an illegal increase in reactor power capacity without the legally required license amendment. 2012-01-09 U2 Cycle 17 refueling outage (RFO) start: SCE removed Unit 2 from service for the planned Unit 2 Cycle 17 refueling outage 2012, and to install a new turbine with increased power output, enough to power 31,000 homes. 2012-01-27 Worker falls into primary coolant pool trying to reach his flashlight. Edison said the event did not qualify for reporting because he did not receive a high enough dose of radiation. 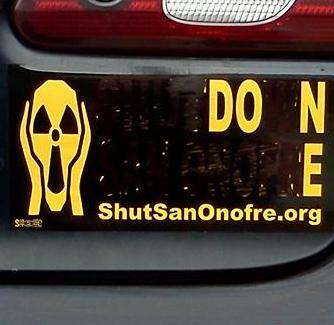 2012-01-31 San Onofre Unit 3 shut down after a leak that may have released a small amount of radioactive gas was found in a steam-generator tube. Leak rate was about 75 gallons per day. 2012-01-31 15:05 Unit 3 Operators entered Abnormal Operation Instruction (AOI) SO23-13-14 (Reactor Coolant Leak) which was required for a primary-to-secondary SG tube leak exceeding 5 gallons per day. 2012-01-31 16:10 Operators commenced AOI SO23-13-28 (Rapid Power Reduction) for a leak rate greater than 75 gallons per day with an increasing rate of leakage exceeding 30 gallons per hour. 2012-01-31 17:31 Operators manually tripped the reactor from 35% power. 2012-01-31 17:38 Operators entered Emergency Operating Instruction (EOI) SO23-12-4 (Steam Generator Tube Rupture). 2012-01-31 18:00 Operators isolated the affected SG. 2012-02-02 Unit 3 Reached cold shutdown conditions. 2012-02-08 Senator Barbara Boxer (D-CA), Chair of the Environment and Public Works Committee, sent a letter to the Chairman of the Nuclear Regulatory Commission (NRC), Dr. Gregory Jaczko, requesting that the NRC review and report on the safety conditions at the San Onofre nuclear plant due to the recently discovered problems related to tubes that carry radioactive water at the facility. Senator Boxer asked the NRC to assess the conditions at the plant, which is located in San Clemente, California, to determine if further action is needed. 2012-02-12 Started tube inspections, one tube found with small leak. Proceeded with expanded eddy current inspection of 100% of the tubes, finding 129 tubes requiring in-situ pressure testing. 2012-02-13 Pressure testing resulted in three tubes failing. 2012-03-13 U3 In-situ pressure test of 129 tubes. 8 tubes fail. 2012-03-27 Arnie Gundersen of Fairwinds Associates published a review of the steam generator failures and pointed to the numerous design changes as the likely root cause. 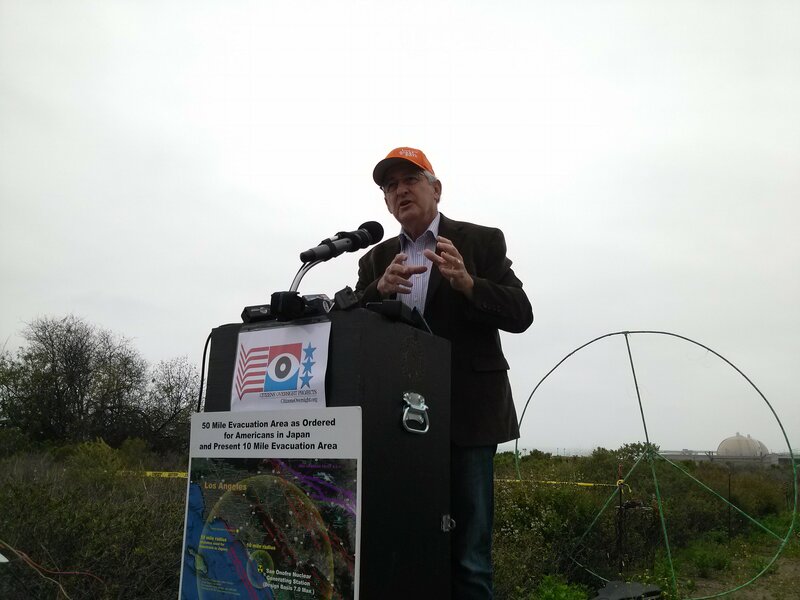 He said "San Onofre engineers should have precise maps detailing the degraded and leaking tubes as well as the exact location of the leak(s) in each tube. Such data is just one piece of critical information required in conducting a thorough root cause analysis of the problem and determining an accurate solution." 2012-03-27 NRC issued a "Confirmatory Action Letter says SONGS to remain shut down until all problems are understood and are resolved. 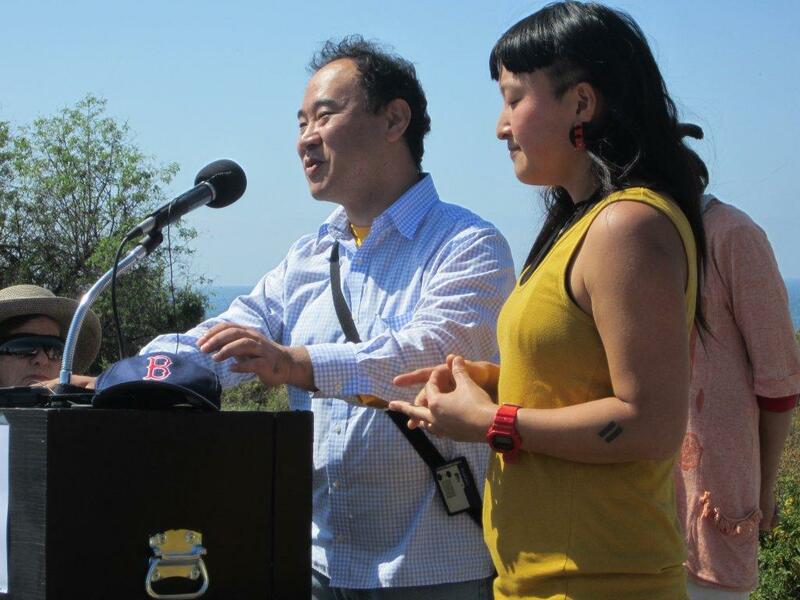 2012-03-27 Irvine City Council starts the process to formally request that SONGS be permanently decommissioned. 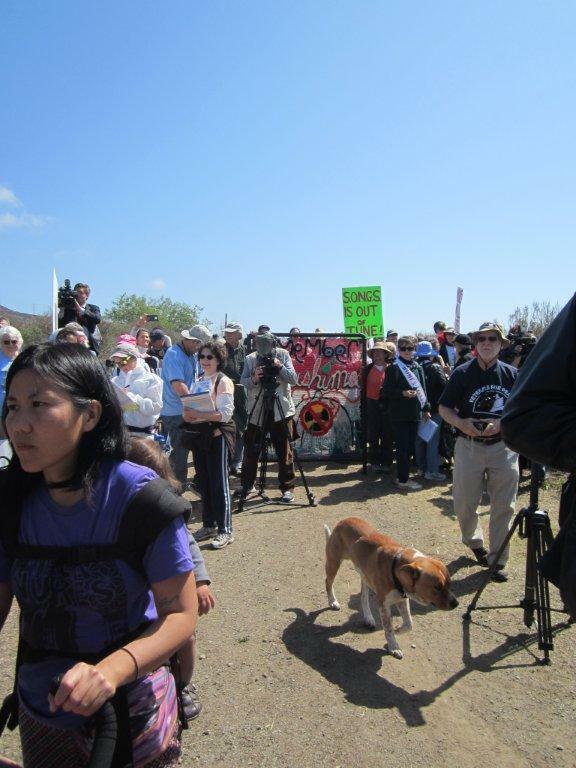 2012-04-25 Citizens Oversight sends a letter to the NRC requesting specific steps be taken before a reactor restart, and Announces the April 29 rally to the media. 2012-05-16 NRC Memo on Inspection Charter for Augmented Inspection Team (AIT). It says "It is not the responsibility of the team to examine the regulatory process." On site inspections were to be complete by March 30. (Strange that the memo was dated May 16). This is just a revision of the earlier document stating to include assessment of "licensee actions taken in response to the Confirmatory Action Letter." 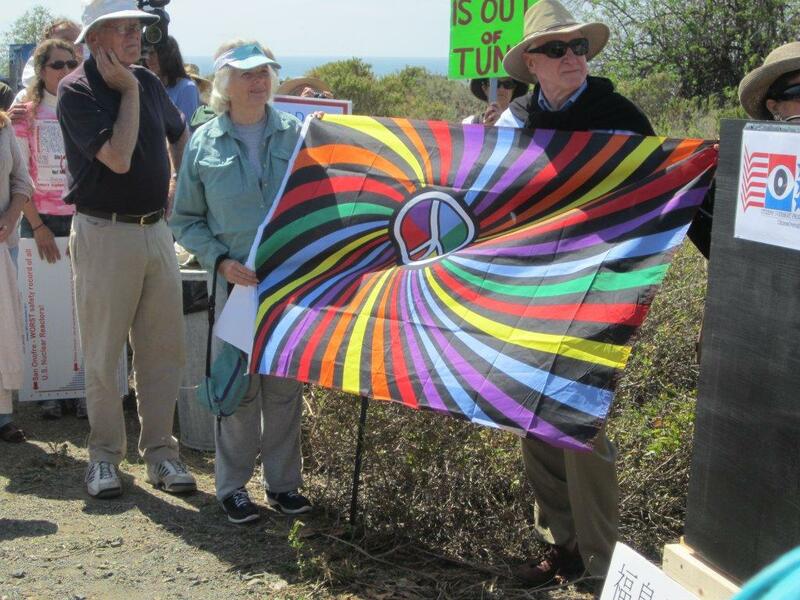 2012-06-18 NRC Report on San Onofre Nuclear Generating Station regarding findings from their investigation and response from Edison officials. See Video. They said the cause of the unusual tube-to-tube wear was due to excessive steam velocity, but did not follow up and come to the conclusion that the steam velocity was caused by the design changes. (Full Transcript of this meeting available). 2012-07 Efforts began to place the Unit 3 primary and secondary systems not required to be operable or in service into a preservation mode. A comprehensive preservation plan was developed and implemented in order to minimize corrosion and other equipment degradation mechanisms. This plan consists of approximately 50 actions required to lay-up and preserve systems not currently required to be in service or available and is currently being implemented. 2012-10-03 SCE submitted a restart plan to the Nuclear Regulatory Commission (NRC) for approval to restart Unit 2 at 70% power and with scheduled mid-cycle outage inspections following 5 months of operation. 2012-11-01 "Issuance Date of the OII"
2012-12-10 CPUC General Rate Case (GRC) decision (D.12-11-051) set the 2012 annual revenue requirement associated with SONGS 2&3 at approximately $498 million (excluding SGRP, ERRA and NDCTP). 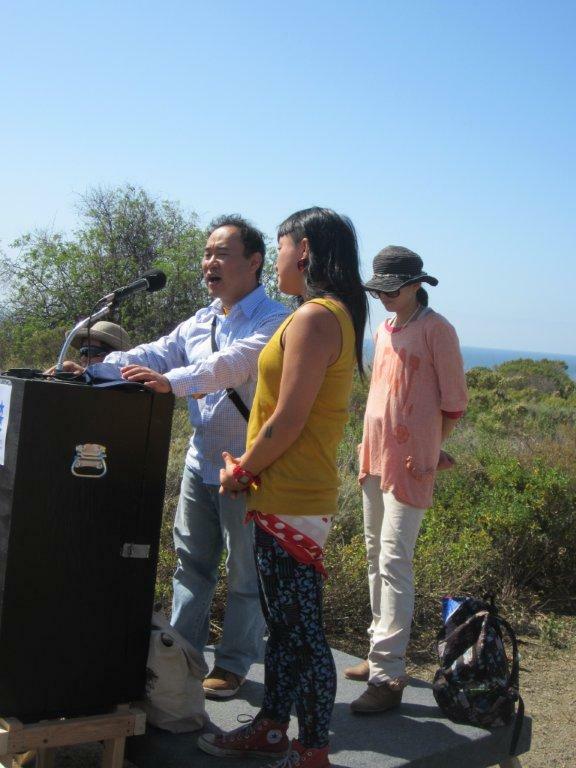 Required the establishment of SONGSMA to track expenses and reductions so that the CPUC could possibly remove some of these costs from the rate base. Required that SCE file an application for a reasonableness review of the expenses tracked by SONGSMA (Consolidated with OII). 2012-12-12 SCE submitted testimony regarding proposed rate adjustments for SONGS units 2 & 3. See M 1352 for details on this testimony. 2005 Hearings on steam generator replacement project (SGRP). 2007 SCE began preliminary engineering of a new High-Pressure Turbine (HPT) for delivery in 2011. "This retrofit also will take advantage of the increased steam pressure following replacement of the SONGS Steam Generators. See D.05-12-040" (SGRP). 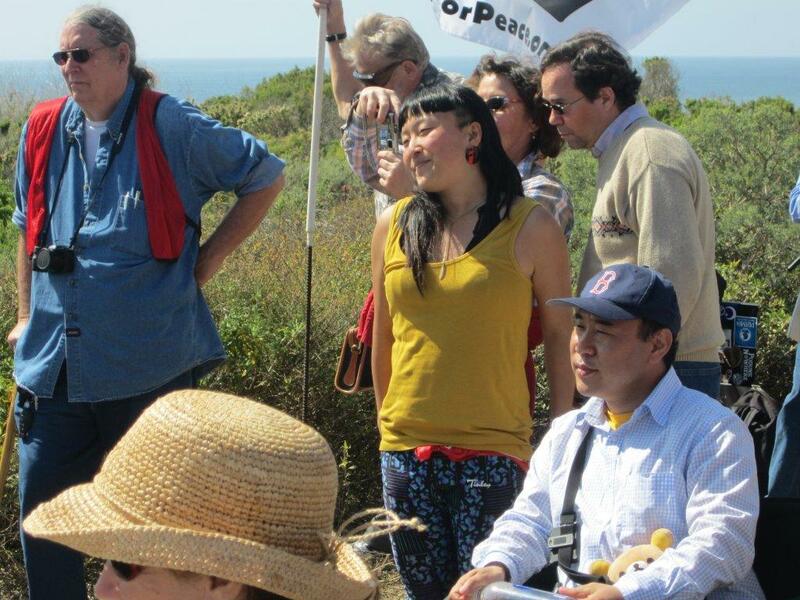 This quote from footnote 10 of "SCE-02: Generation, volume 5 - SONGS 2 & 3 HPT Project"
Shut San Onofre Related Orgs -- Organizations that either endorse the project or have similar interests and may be able to help us out. 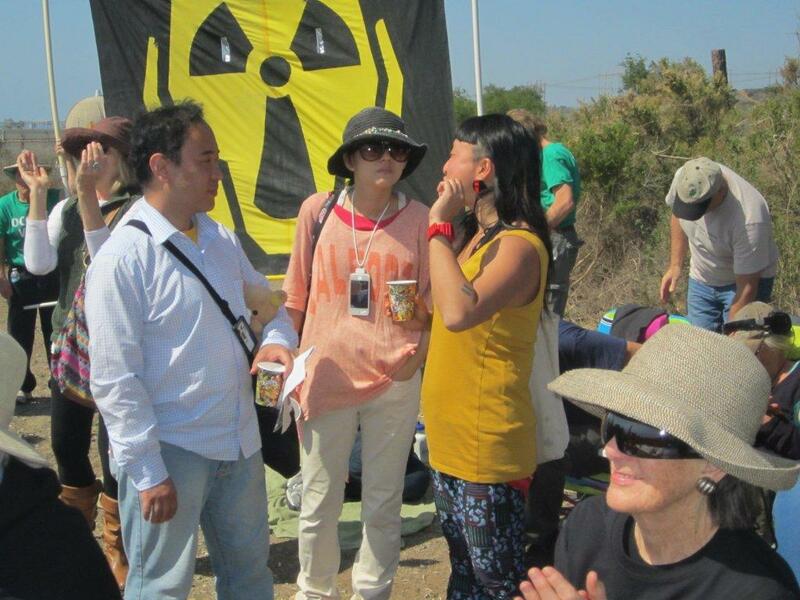 Japan and the EU has embarked on a process to stress test reactors, subjecting them to extreme conditions without regard the likelihood that such events may occur. 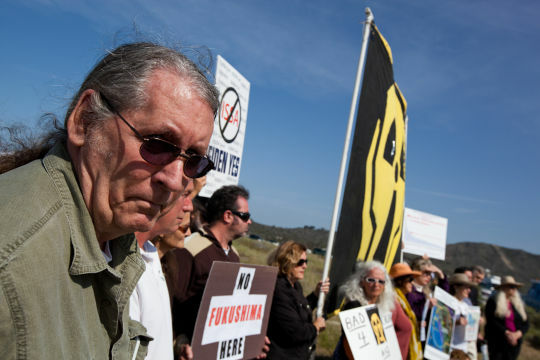 (M1553) 2015-02-26 Review of San Onofre Original Steam Generator Wear -- Ray Lutz, Citizens Oversight, Decisions by Southern California Edison to 'uprate' the core and decrease T(cold) may have shortened OSG life. 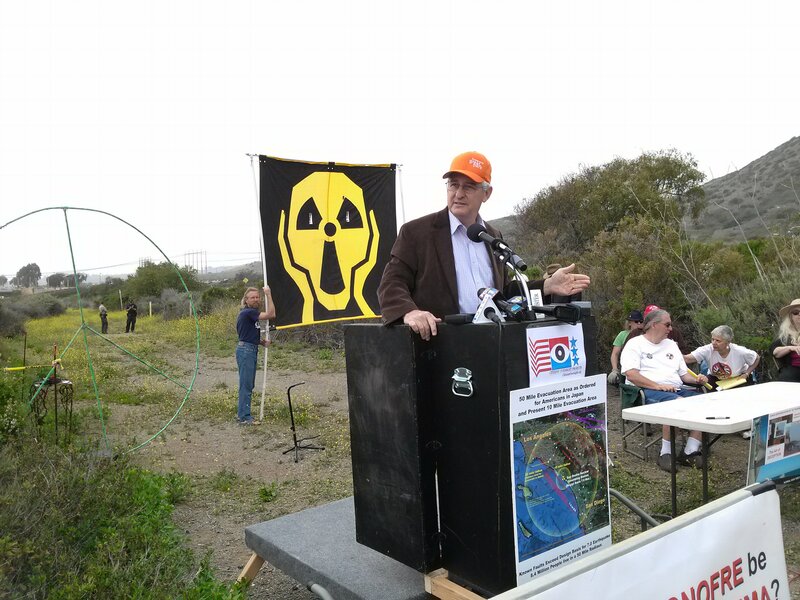 (M1430) 2014-05-07 I.12-10-013 CDSO Opening Comment on Proposed Settlement of April 3, 2014 -- Ray Lutz, Coalition To Decommission San Onofre, Includes full details of our proposed alternative settlement which allows the utilities to nearly break even in 'hands off' approach. (M1420) 2014-04-03 CPUC I.12-10-013 - Motion for approval of settlement agreement -- , Southern California Edison, Edison and SDG&E propose that ratepayers pay $3.3 billion to cover their losses in the project; claimed to be a $1.4 billion 'savings' by proponents. (M1390) 2013-11-22 CDSO Opening Brief for Phase 2 of San Onofre OII (I.12-10-013) -- Raymond Lutz, Coalition To Decommission San Onofre, Martha Sullivan assisted with review of this submission. 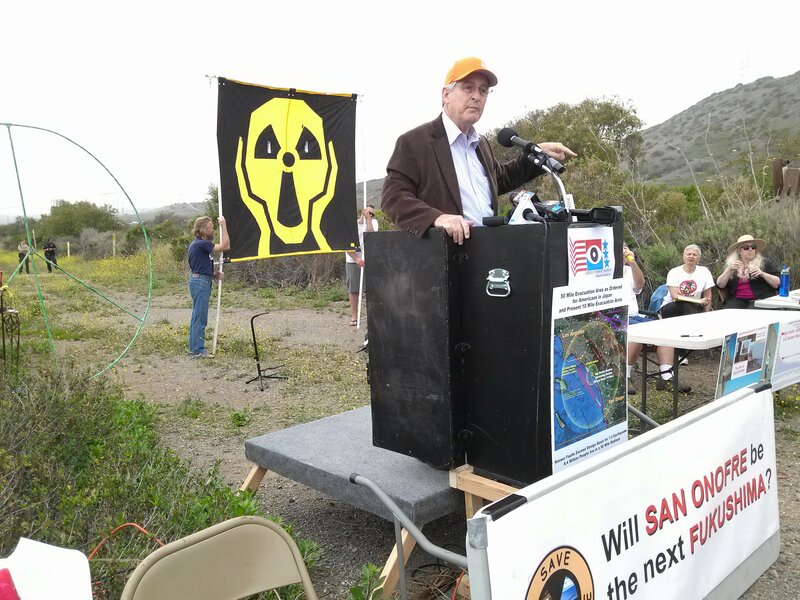 (M1466) 2013-07-29 Meeting California’s Electricity Needs Without San Onofre or Diablo Canyon Nuclear Power Plants -- Bill Powers, Sierra Club San Diego, Concludes that California can withstand the loss of both San Onofre and Diablo Canyon Plants. 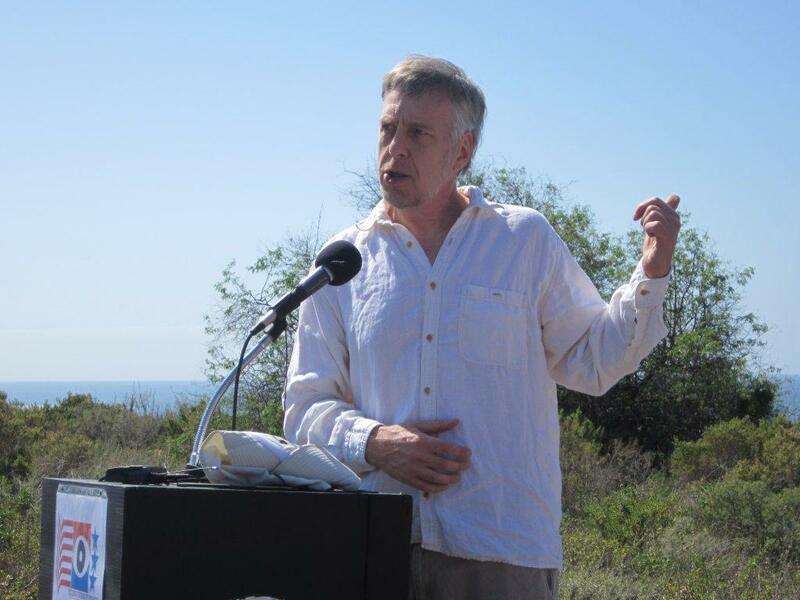 (M1366) 2013-06-25 Storage of nuclear waste from spent fuel at San Onofre -- Robert Alvarez, Friends Of The Earth, An excellent overview of the current situation at San Onofre and concerns about the safety of nuclear waste. 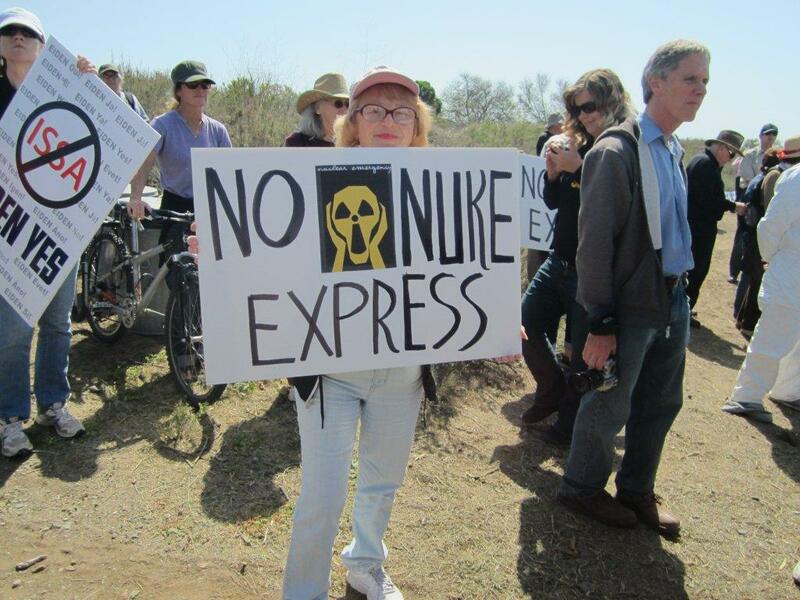 (M1455) 2013-05-28 Barbara Boxer wants U.S. probe on San Onofre -- , Associated Press, Features Senator Barbara Boxer -- She had obtained information showing that Mitsubishi had raised concerns about the design but SCE scuttled any changes to avoid NRC review.